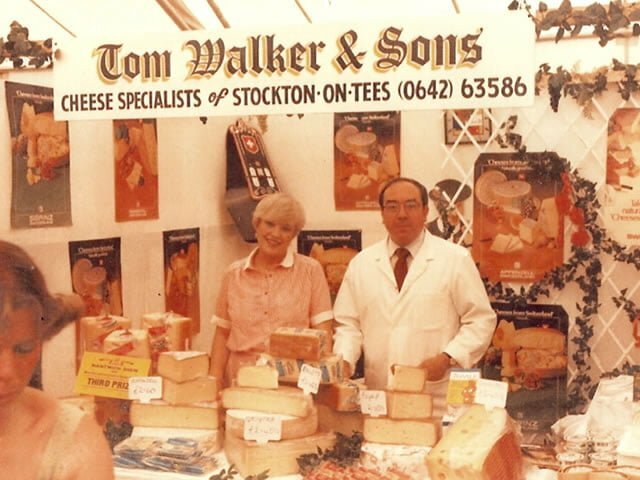 Tom Walker & Sons : A History | Tom Walker & Sons Ltd.
Take a look at the history of Tom Walker & Sons. 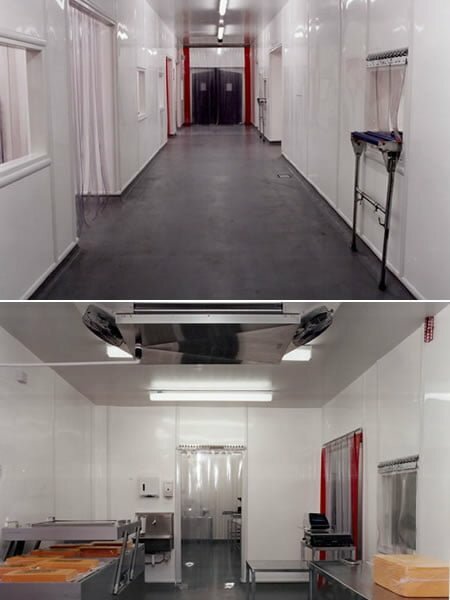 See how we have progressed from operating from a small unit on an industrial estate, to a derelict farm site, to a modern production facility, and everything else in between! 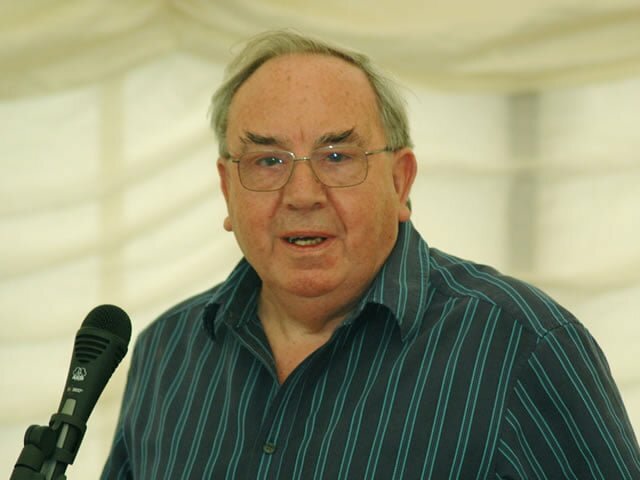 Tom Walker forms Tom Walker & Sons, relying on knowledge built from working in the industry since 1946. The business was run from Tom’s house for the first six months, and storage facilities at the KW Devereux site in Billingham were used. 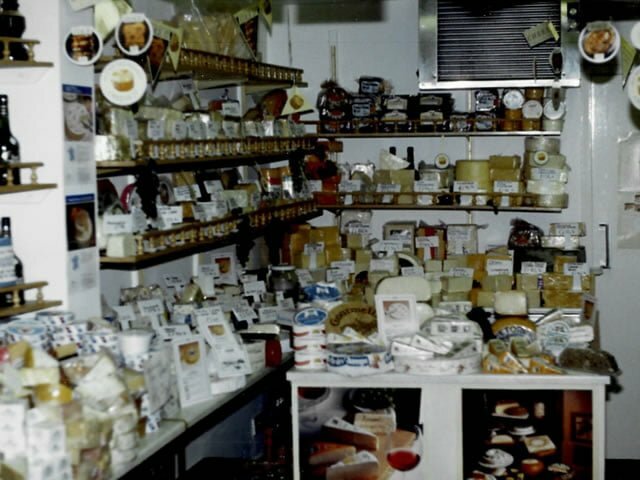 We rented premises at 24 High Street, Stockton, and used the first floor as our offices and the ground floor as a retail shop ‘The Cheeseboard‘. The retail outlet closed in 1989. We occupied Unit 5, Preston Farm Industrial Estate. The wholesale business operated from here, and we eventually rented three units at this site. 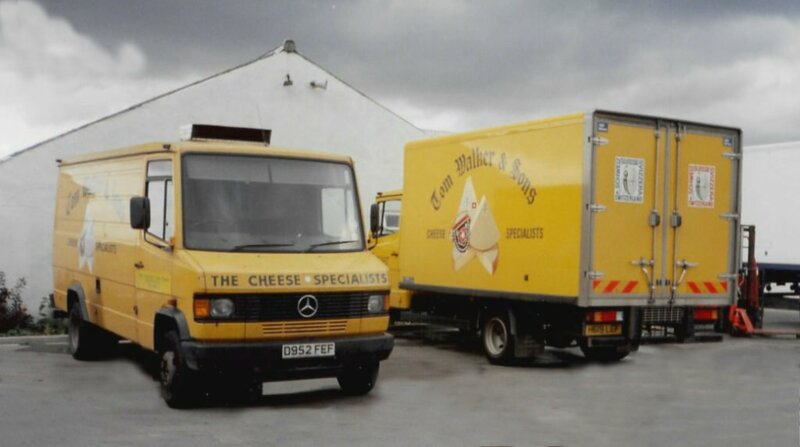 From 1982 to 1990, we worked as a regional cheese wholesaler, developing business with regional multiples and co-operatives, department stores and independent delicatessens. The consolidation in these market sectors, which began in the late 1980s, meant that we needed to change our business model from that of a regional wholesaler to a national distributor, skilled in depot deliveries with short lead times. We began this adaptation in 1991. We bought ‘Thorpe Leazes Farm’, a dilapidated set of farm buildings to the north of Thorpe Thewles, near Stockton-on-Tees. Alterations began to make the premises fit for our use. We began operating from Thorpe Leazes Farm. Our fleet of vans for regional operations began to be phased out around this time. 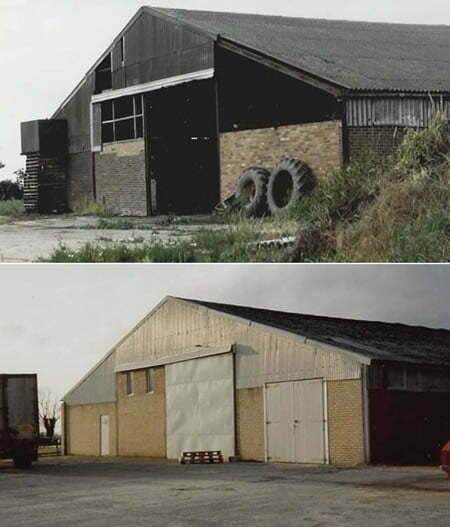 We began the long process of transforming ‘The Grainstore’, one of the most dilapidated buildings at Thorpe Leazes, into one of our premises’ main assets. 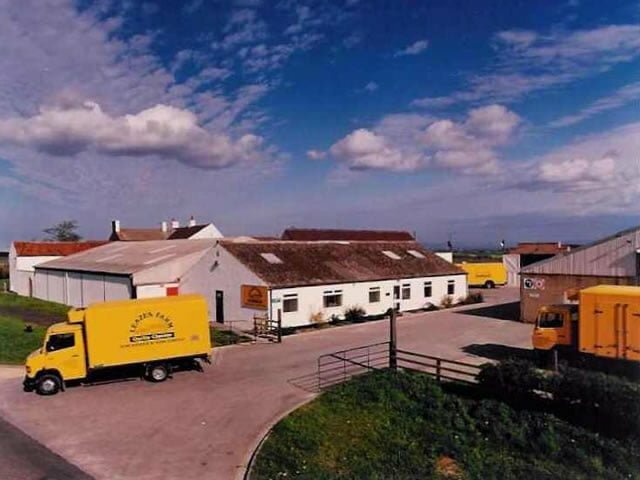 While we had carried out some limited packing operations at Thorpe Leazes Farm since 1989, in 1993, we invested in the conversion of the rooms which are today ‘High Care One’. 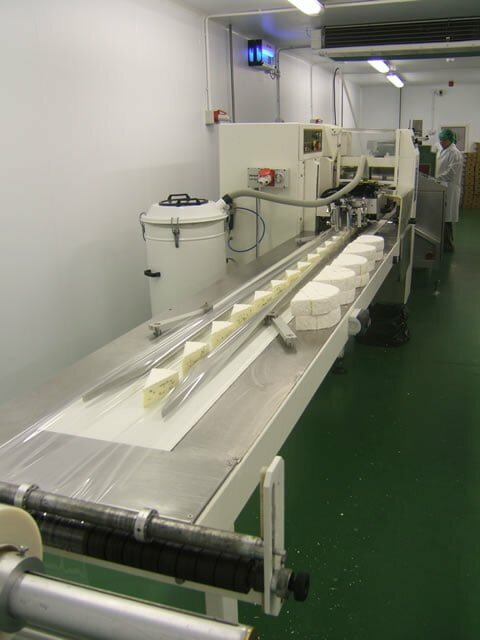 This enabled us to start cutting and packing white-mould cheeses to a high standard. 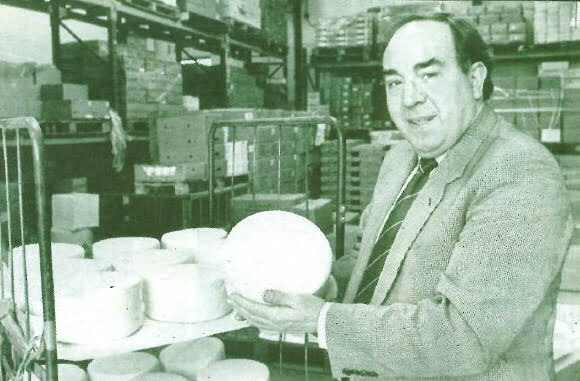 The demise of Western Cheese in Wiltshire allowed us to venture into the selection pack market by retaining some of their business. Tom Walker retired from the business. 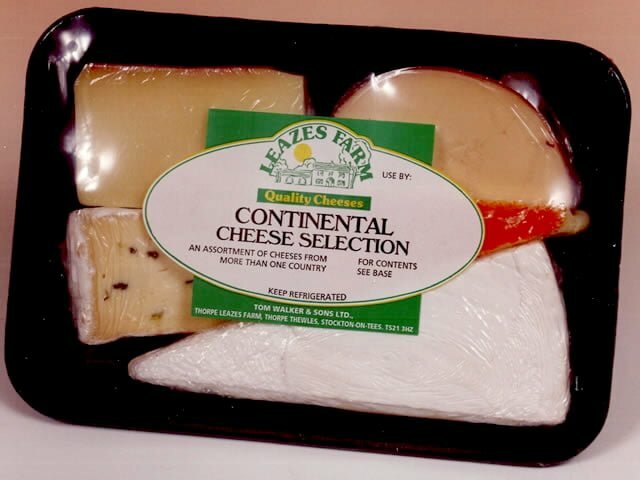 An opportunity in the ‘Snacking’ market enabled us to invest in facilities for packing multiple small cheeses into bags. We built what is now the ‘Low-Risk Snacking Suite‘ of production rooms. Further changes were made to ‘The Grainstore‘. 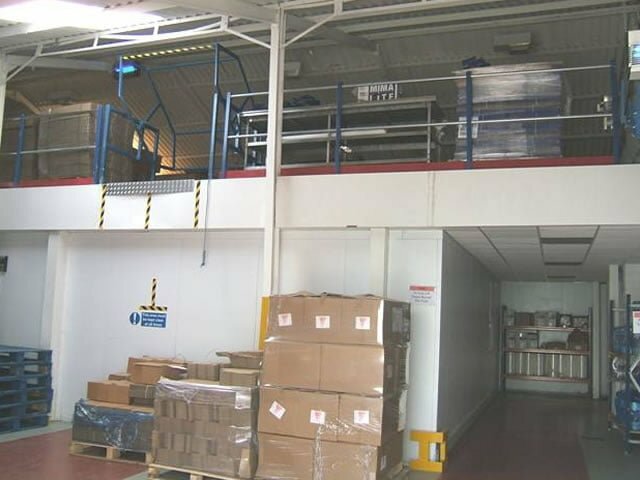 A mezzanine floor was added to house packaging stocks, which was then extended in 2004. We were contracted by Elite Imports, the main agents for Cambozola in the UK, to carry out their packing for all multiple retailers. 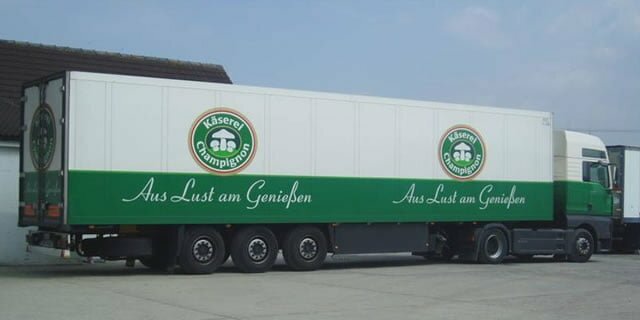 The first delivery of Cambozola was received for co-packing. 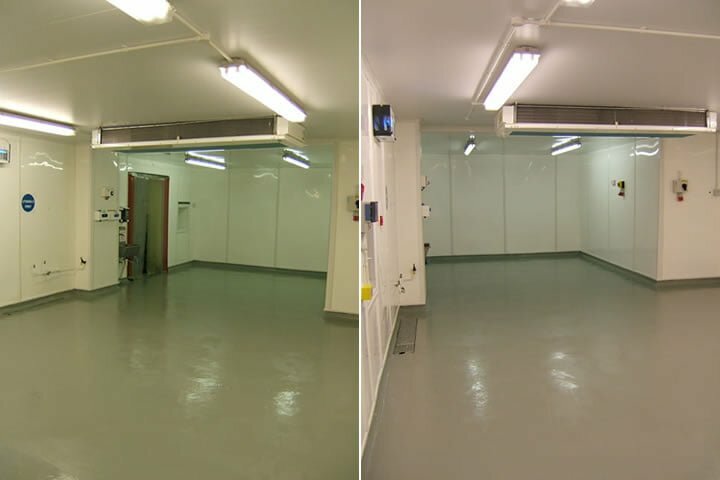 A new ‘High Care Two‘ production area was built and made fully operational in just 3 months. 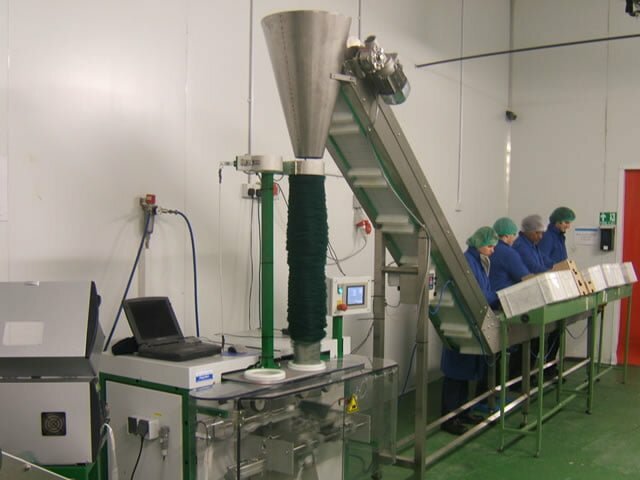 We invested in the latest ‘netting’ machinery to enable the packing of high volume snacking products in netted format. 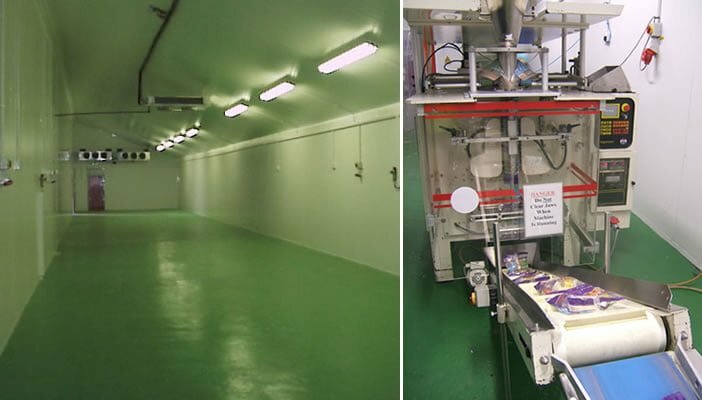 Refurbishment of the production area ‘High Care One‘ was carried out. 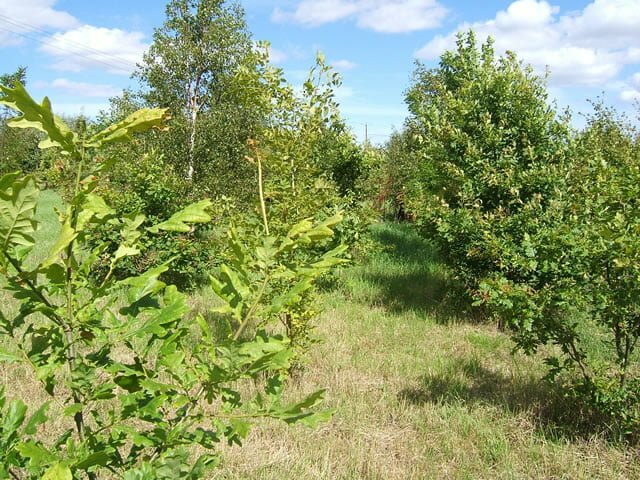 In 1998, we had planted 1,400 native trees over 2 hectares of land at the rear of Thorpe Leazes. 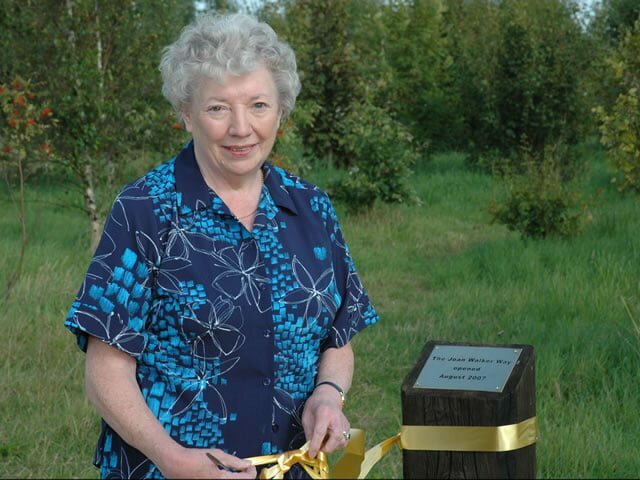 To celebrate our 25th year in business in 2007, we made this area into a woodland walk, which we named ‘The Joan Walker Way’. 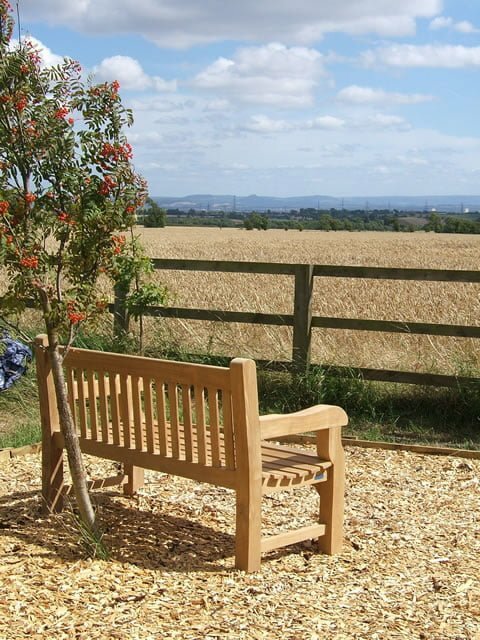 Bird boxes were installed to encourage wildlife, together with memorial arbours for staff who have died in our service. Celebrating 25 years in business, the Joan Walker Way was officially opened by Joan Walker herself! The grand opening took place during a party attended by staff, as well as representatives of companies that we have had relationships with for many years. The weather was perfect for the barbecue and strolling around the woodland. The day was a great way to thank those who have helped to shape the company into the thriving business it is today. 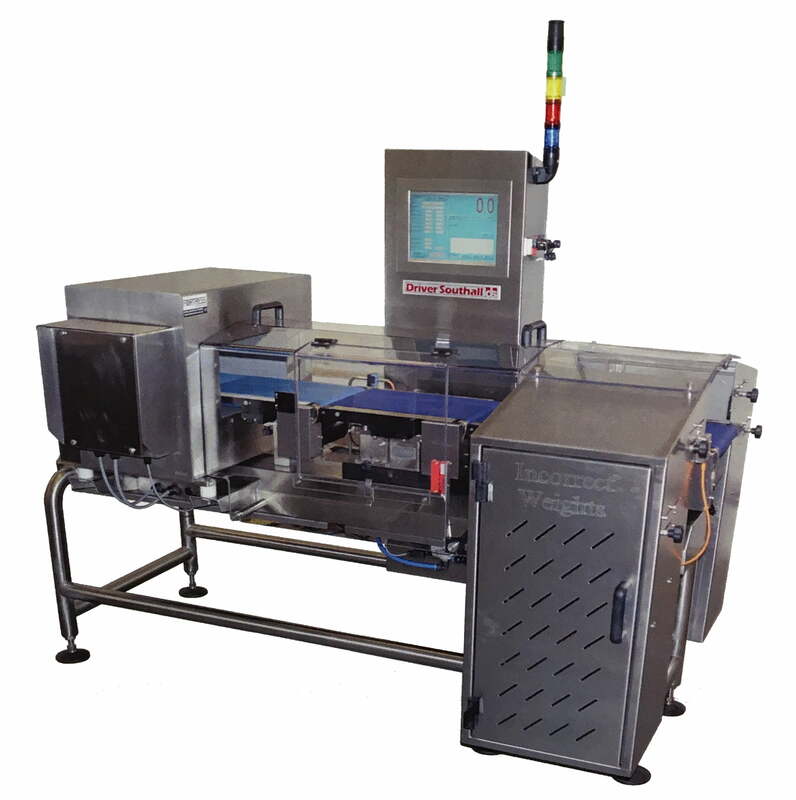 We added to our packing repertoire by purchasing a PFM Tornado gas-flushing high throughput flow-wrapper, improving our ability to pack hard-pressed cheeses. 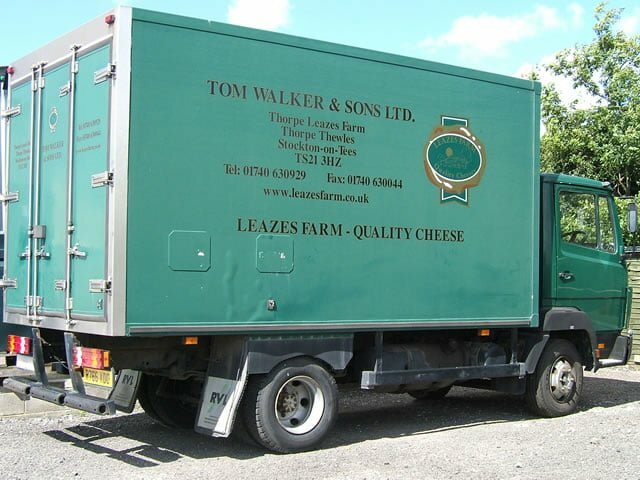 A consolidation of distribution meant saying goodbye to the last van in the Tom Walker & Sons fleet. National distribution continued using chilled hauliers. A concentrated focus was made on environmental improvements. This was achieved by good energy management, putting measures in place to reduce energy waste and raising staff awareness. More efficient use of water reduced our usage by more than 40% in one year! 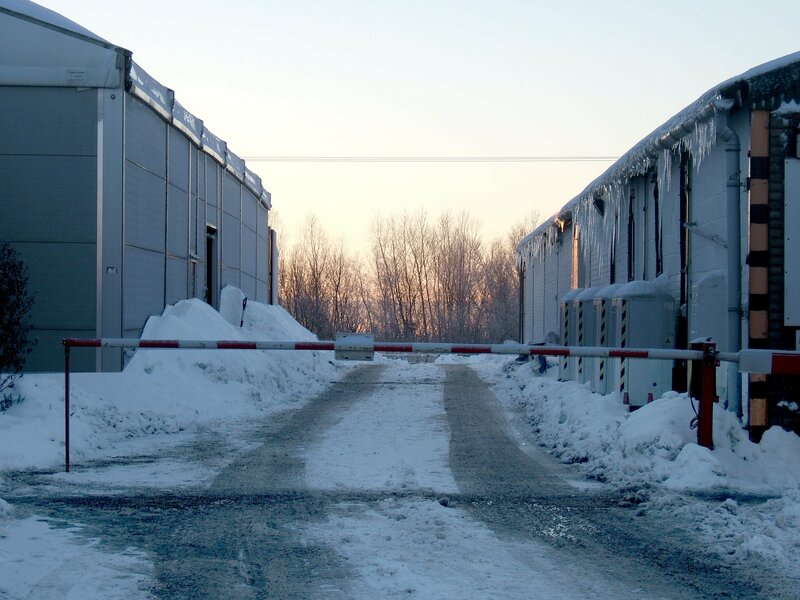 The harsh winter of 2009/10 encouraged us to make some yard improvements to stop trucks getting stuck in the snow! A fork-lift snow plough was purchased to help out! 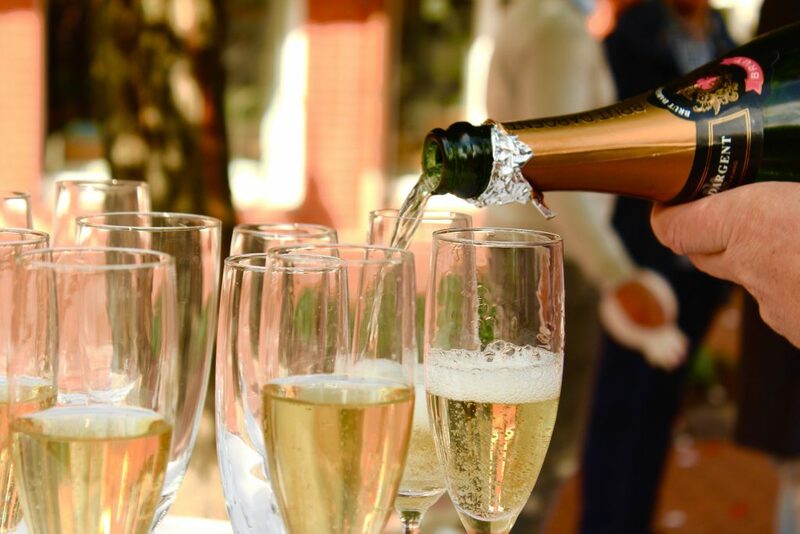 In 2012, we celebrated 30 years of business! We had a staff gathering aboard the HM Bark Endeavour on the River Tees to mark the occasion. With plenty of music, dancing and cheese to go round, it was a great way to thank staff for their service and commitment to the company. 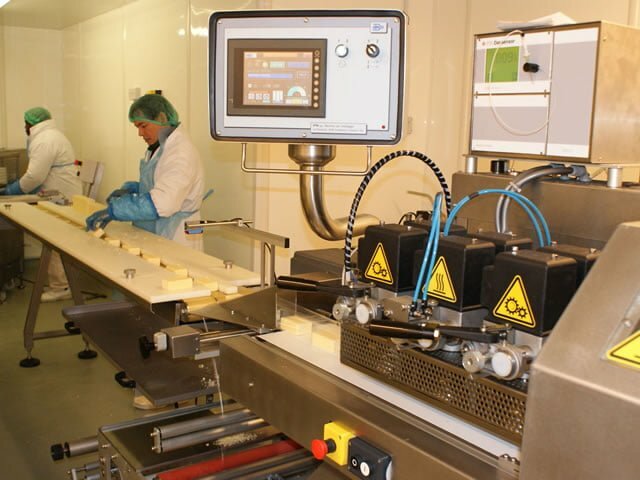 We replaced machinery in both of our High Care areas to increase our cutting and packing capabilities. 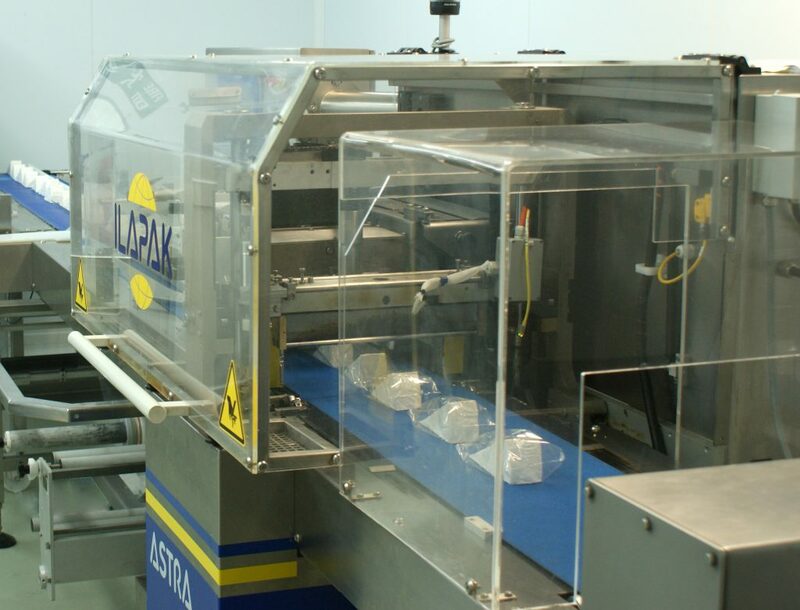 The addition of the two Ilapak Astras means that we can wrap up to 4000 units an hour! 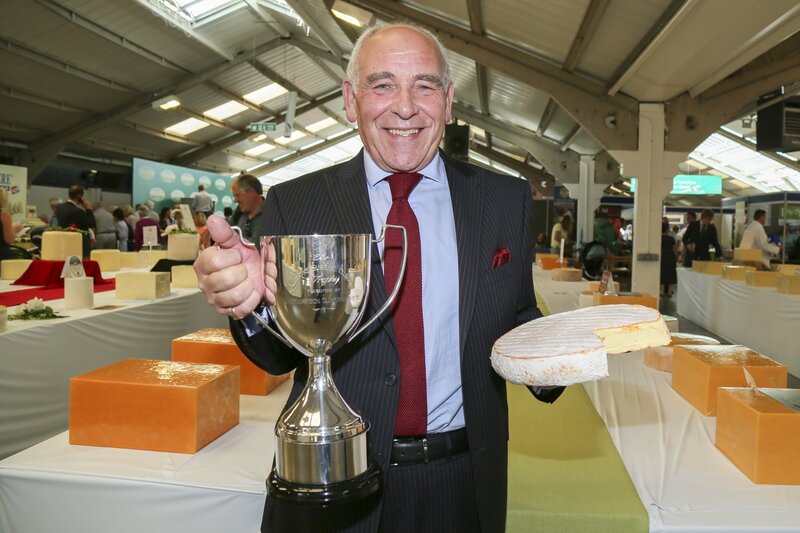 In July, Rougette, a cheese that we are proud to co-pack, won the prestigious Supreme Champion Award at the Great Yorkshire Show. Nick Reader collected the trophy and commented on what an excellent moment it was. We upgraded our checkweighing and metal detection capability by investing in two Fortress Combi machines for each of our Astra lines. These meet all retailer requirements for failsafe rejection, password protection and enhanced data recording. 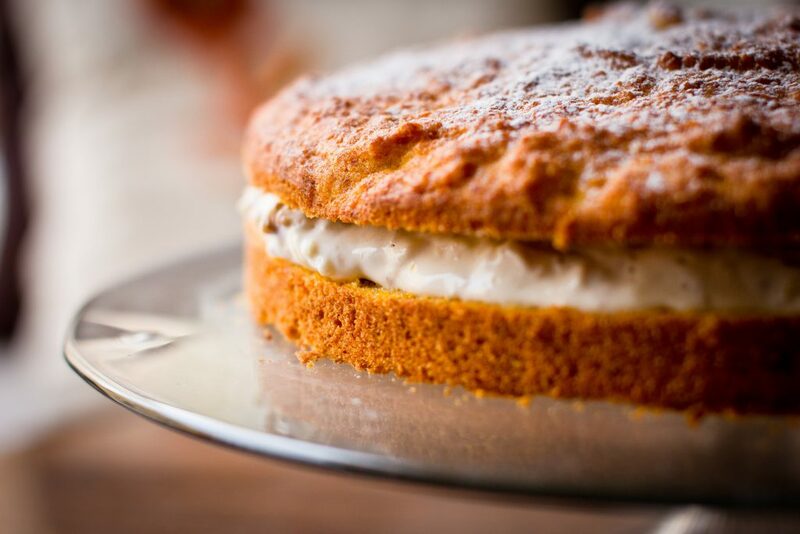 During the Christmas rush, we paused to have a piece of cake to celebrate the company’s 35th birthday! Time really does fly when you’re having fun.